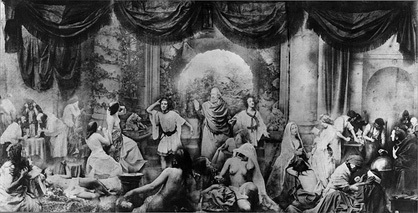 The Two Ways of Life (1857), constructed from more than 30 negatives. 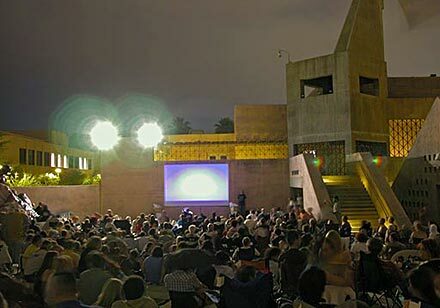 An annual outdoor film and video festival to celebrate the artistic and creative endeavors of people with different visions and levels of experience. In my youth the experience of calling out to the wolves of the northern forest was profound. 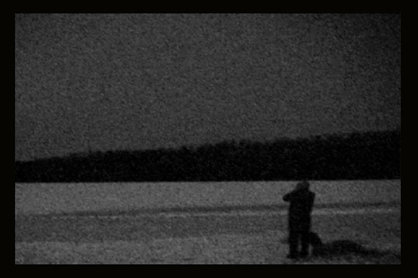 It developed not only a connection to another, it was a direct interaction with entities that were not human but willing to communicate. That interaction seemed to hold depths of communication beyond concept, it was not a communication of a literal kind, nor an emotional one, it resonated as pure communication of being. In the telling of stories we communicate not only information but deeper meanings in our tone and commitment to the story being told. In the contemporary context of globalization we are aware of such cross cultural exchanges, I see this no differently. In the context of those early exchanges the wolves’ modes of communication with each other were not withheld, were not restricted to their own kind, and I can not bring myself to believe they did so unawares. The implications of this was to define those experiences in my mind as a cultural exchange. Calling out seeks to envelop not only those past experiences but to examine the implications of communication with our natural environments and their non-human cultures. Coming out of a specific examination of story-telling – it speaks to a view of such exchanges as methodologies of story-telling, if only we listen in the context the story is told – in a visceral sense as opposed to a literal one. The information that is stored with in the archetypes of their tonality and resonance defining their meaning. In the action that calling out is a documentation of the intention is to seek that connection with the land and the concerns of our longing for contact with our natural world. The environment is integrated into the video on a technical level in so far as the focus of the video is affected by the audio which defines the focus of the frames. The louder the sound more demand it places on the technology in a cold environment resulting in a fluctuation in the imagery, in a sense the resonance of the call permeates and affects even the technology. The depth of that resonance and a desire to seek it out in a landscape now devoid of any response is intended to speak to the loss of that connection or for that matter, the potential for that connection. Matt Ceolin: A naturalist, conceptualist, multidisciplinary artist, author, and arts educator, Matt Ceolin is a graduate of Ontario College of Art and Design and the University of Windsor. His work comes out of a deep connectedness to the environment and is engaged in examining fluid processes of interacting with nature in pursuit of a more visceral sensibility of its portrayal. His studio practice is based in a terrestrial area in which he engages natural ecologies and entities, and from which he draws his materials. Aside from his studio practice over the past decade, Ceolin has worked as a forest firefighter, instructor for Algoma University, and a freelance bookbinder and designer. Most recently, he focused his energies as founder and proprietor of the Arcadia Project, a multi-faceted creative arts centre in Sault Ste. Marie from 2005 to 2010. Ceolin’s visual work has been exhibited at galleries throughout Ontario; his major works to date include Entomechology, Treatise on Imaginary Particles, and the New Herbarium project. He currently resides in the forests of Algoma, where he is immersed in numerous projects in collaboration with the environment and its inhabitants.